Unifyed platform integrates with Microsoft Office 365, Microsoft Exchange, and Gmail to provide college and university stakeholders with a holistic view of recruiter, prospect, and applicant communications. This integration records the entire communication history that has taken place between a recruiter and a prospect or applicant. Irrespective of whether messages are sent while on campus, off campus or through a laptop/desktop/tablet or smartphone, the end-to-end conversation will be visible with a single view. This integration also enables institutions to reach a large number of prospects automatically via tasks created based on a wide range of interests and attributes. 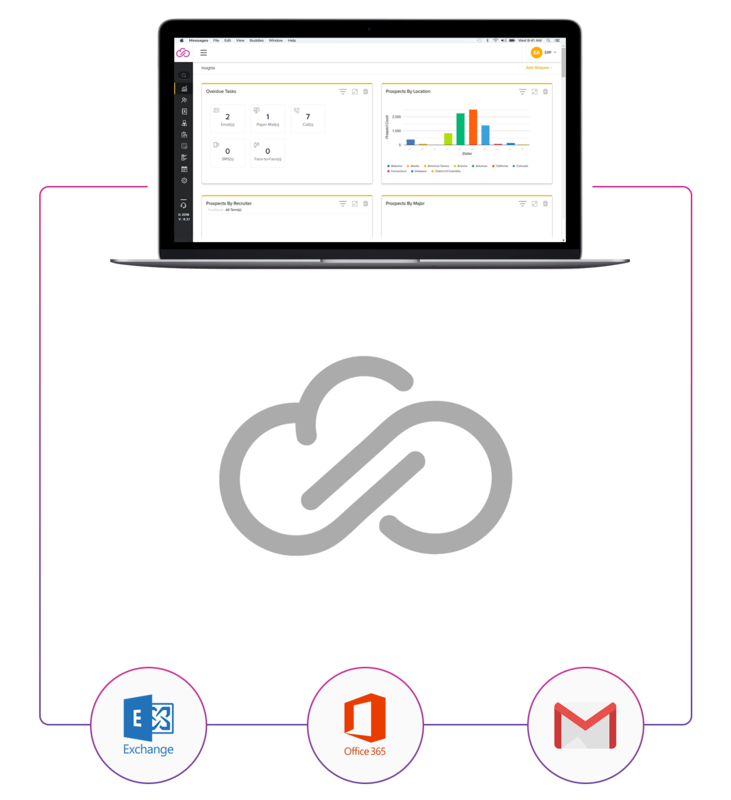 Unifyed platform through its email integration with Microsoft Office 365, Microsoft Exchange, and Gmail, enables seamless access and updating of communications to provide effective operational efficiency.